Where Can You Find Out About Living Trust Benefits? There are many living trust benefits, and you should do research in order to determine whether creating a living trust is right for you or not. When you consider whether to create a living trust, it is important to do your research from reliable sources so you get correct information. Living trusts also have some limitations, and there are certain requirements you must follow in order to make a living trust. As a result, you don’t want to make errors based on incorrect info you obtain. Nirenstein, Horowitz & Associates can provide you with comprehensive information on living trust benefits. Our experienced Westport trusts lawyers have helped many clients to determine what role trusts should play in their comprehensive estate plan. We also provide assistance with the creation of all different types of trusts you need to protect your legacy. Give us a call today to learn more. A living trust is established by a trust creator, or settlor, during the course of his lifetime. Revocable living trusts are a flexible tool which can provide you with some significant advantages but which also have some limitations to be aware of. The Connecticut Probate Court: The Connecticut Probate Court has published a comprehensive guide entitled Understanding Trusts. The guide explains living trusts and many different types of trust documents. Because it has been prepared by the probate court of Connecticut, you can review the information with confidence as to its accuracy. The Connecticut General Assembly. The CGA has prepared and published a primer on living trusts. 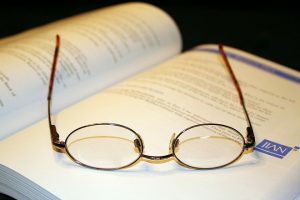 An experienced Connecticut estate planning attorney: The law changes regularly and the laws on living trusts can be difficult for laymen to interpret in many situations. As a result, doing your own research may nor provide you with all of the details you need about whether creating a living trust could benefit you. You should get personalized legal advice specific to your situation. The most important thing to remember when learning about living trust benefits is to refer to only reliable sources with knowledge of Connecticut state law. Rules for trusts differ by state, and not all information obtained online is reliable information. You cannot afford to make a mistake when you are using trusts as part of your estate planning process, so you should make certain you are getting the right information and advice. What are Some Living Trust Benefits? The ability to avoid probate. Assets held in the living trust can transfer outside of probate. This can allow for a more timely transfer of assets so new owners can begin taking control right away. This can be important if assets require careful hands-on management. The ability to plan for incapacity. A backup trustee is usually named when you create your living trust, while you serve as the primary trustee. Your backup trustee can immediately begin managing property and assets in the event you become incapacitated. Flexibility and continued control over assets. You retain a great deal of control over trust assets in a living trust. You can change or revoke the trust at any time, which is not an option with irrevocable trusts. While these are substantial benefits, you also must realize that a living trust is not going to do anything to prevent the assets held in the trust from counting in determining the value of the estate for estate tax purposes. Assets held in the living trust will also count as resources in determining if you can receive coverage for nursing home costs or other medical expenses through Medicaid. 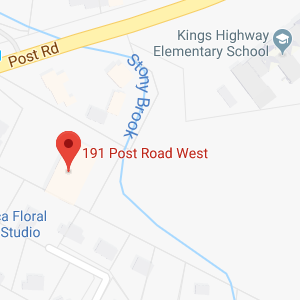 Getting Help from a Connecticut Trusts Lawyer ? 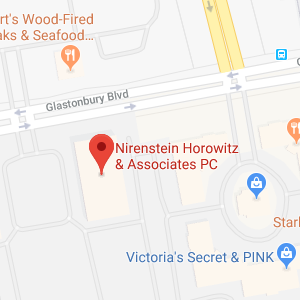 If you live in Hartford, Westport, or surrounding areas, Nirenstein, Horowitz & Associates can provide you with personalized advice on living trust benefits that you can take advantage of in your situation. We can also help you to understand the other types of estate planning documents which could be beneficial to you. Give us a call at 860-548-1000 or contact us online to find out more about how we can help.